The internet has changed dramatically over the past decade, some of you will remember the early 2000s where even the largest companies in the world still had websites that looked like bad church newsletters. Today is different, a modern internet requires a modern design and that is especially important for the first thing your users normally see, your home page. Below are some tips to help you understand what goes into designing a modern homepage. The modern internet has come a long way from its humble roots. The most profound change we can identify on the UX side is the fact that websites used to look like newspapers. They were filled from corner to corner with plain text on a page that didn’t scroll, making it nearly impossible to quickly find what you needed as a user. Today, modern web design has done almost a complete 180. In an age of short attention spans and smaller screen, it’s extremely important to limit the information your visitors see when they get you your website. If you are not able to quickly convey these 3 main points, you stand a much high chance of that visitor hitting the back button and going to the next listing down the page on Google. By limiting the text, graphics and other information you can direct a user’s short attention span to what you as the company deem is the most important information for a visitor to see. On the modern web, less is almost always more. Something I hear more than I wish I did is why are you designing web pages that scroll? There seems to be a distinct change that has taken place in modern web development with the idea of how long should a page be. 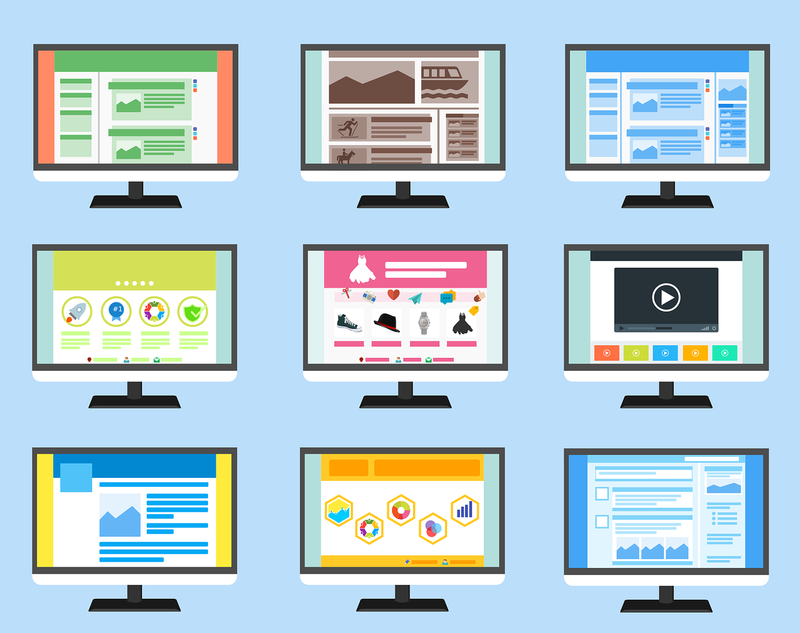 In the past, web pages were built to fit in one visual screen. No scrolling, no parallax sections, just one page filled with way too much text. Today web pages are designed to scroll, this is due to the fact that over 60 percent of all web traffic happens on mobile devices today. The world wide populous as a whole has been conditioned to scroll with the rise of smartphones and tablets which has translated into a dramatic shift in how web pages are designed. 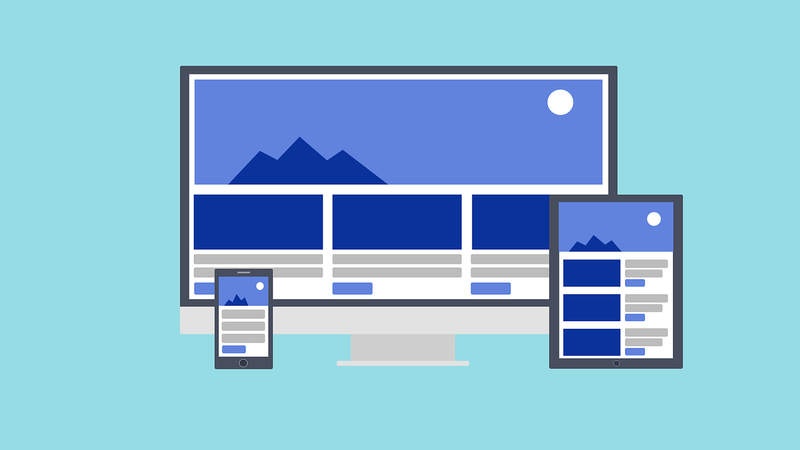 Responsive design is a type of development that scales a website to whatever size screen you are on, no more zooming with your fingers when trying to read a website! By using length of a page as an aspect of it’s design modern web developers like ourselves here at Oak City Technology are now able to create clean, beautiful websites that scroll. Freeing up massive amounts of space on web pages that used to only be a dream of developers during the .com boom. One of the biggest pet peeves I have on the internet is going to a website, only to find that I have stepped back in time to see backgrounds or images that look like they were taken before the digital era. Before the modern era of web design businesses were easily able to use images that might not have been taken in the best quality. The problem today is that the devices that people surf the web on today have screens that are such high resolution, they make old images stand out like a sore thumb. When developing a homepage for the modern internet it’s a requirement to have full HD images that are clear, vibrant and well edited. Sometimes, the investment in a professional photographer for new head shots or images of your office are worth every penny.